You said weed? Purslane is actually a very tender plant, rich in omega 3 and antioxidants. Instead of stomping, take the time to pick the "good grass" and enjoy all its benefits. It is a very common plant gardens, purslane grows easily everywhere. That why it tends to be called weed. Yet, purslane is an edible plant with many nutritional interests, why it is the basis of the famous Cretan diet. Purslane has an incredible wealth of minerals, particularly calcium, iron, magnesium and potassium) essential to the proper functioning of the body. They are involved in composition of enzymes and hormones, play a role in the formation of bones and teeth and help maintain heart rhythm, muscle contraction, neuronal conductivity and acid-base balance . Purslane also contains omega-3 type involved in our good vascular health, vitamins (A, B, C) which allow the proper functioning of cells and antioxidants that protect us from free radicals. This weed is also one of the secrets of longevity of the Cretans. Purslane is also interesting in detox treatment because it helps remove excess water retained in the body and ease the digestion after overeating possible. The dried young shoots have diuretic and detoxifying properties. In tea, they relieve digestive disorders. 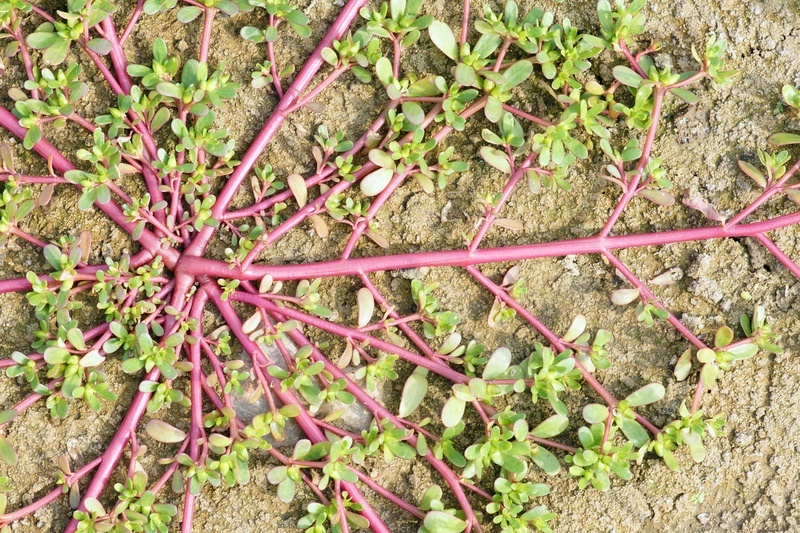 Associated with dandelion, purslane improves skin condition in acne breakouts. In purifying cure, it can be combined with the savage mind to improve the functioning of the excretory organs (that remove toxins) as the intestine, liver or skin). Applied directly to the skin, it moisturizes and softens. Thanks to its anti-inflammatory and antibacterial properties, it can be applied directly to wounds to soothe skin irritations and promote healing. Chewing some leaves calm inflamed gums and even sore throats. 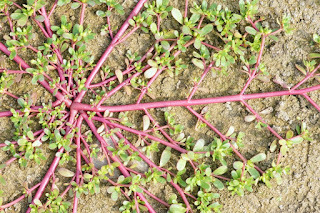 Purslane is eaten mostly raw but it can be cooked. It can be eaten in salads, add to legumes, a farce, a quiche or soup. Add it to your tzatziki or omelette. It can be drunk as a tea or juice form. Purslane makes your green smoothies (lettuce, spinach, kale) creamier. It is not uncommon wild purslane grows wild in the gardens. This species is often considered a weed when it is as delicious as the culture purslane. It is distinguished by its smaller size and the fact that it runs along the ground instead of pushing height. In fact, it is not a problem and it is very interesting to let it grow to the pick during weeding your garden. Purslane culture, he asks sandy soil and lots of light. One of the plant from March to September in light soil, well drained. Online is sown every 20 to 25 cm. For purslane all summer and beyond, do not hesitate to space your semi in time.